So I stopped into Ulta the other day to pick up a free gift I earned and ran into this display. 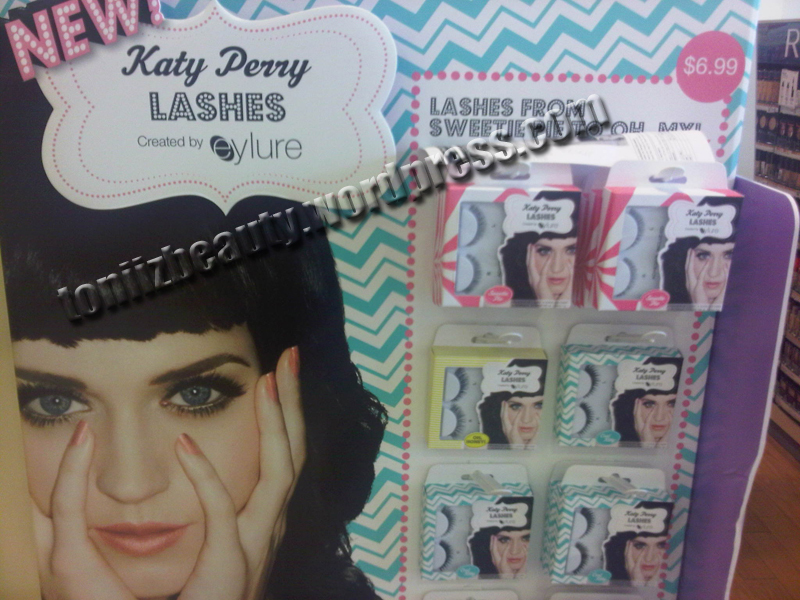 I found it quite interesting that Katy Perry now has her own line of eyelashes. Honestly it would make more sense for Nicki Minaj because she always has distinctive eyelashes. When I think of Katy Perry I think of crazy color hair. She should have gotten her own line of crazy hair dye! But who am I anyway right? As you can see these babies retail at $6.99. Don’t know that I will be trying them anytime soon, what about you? If you are interested in trying them check your local Ulta or order here.